Five tips for working from home that will allow you to be as successful as possible while still maintaining your sanity. If you had told me 7 years ago when I moved to the United States for the first time, that I would be able to make a good income to supplement my husband’s job, I probably would have told you were crazy. 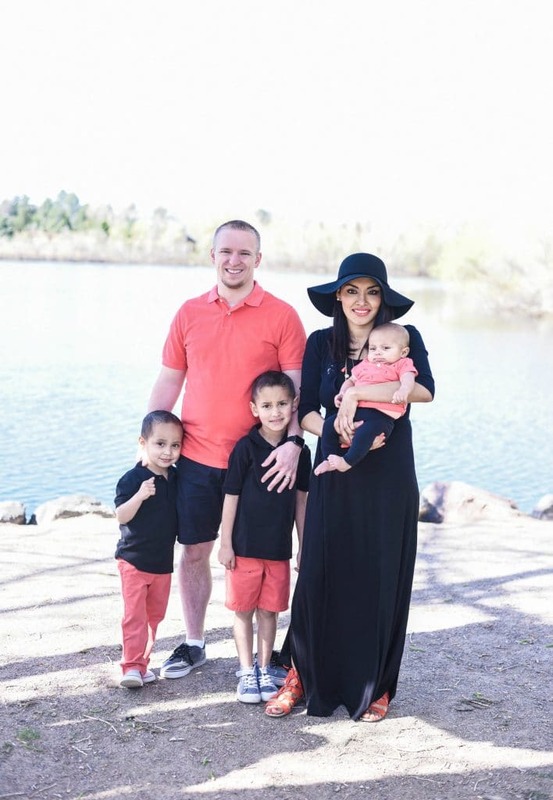 Yet here I am – raising my three little boys alongside my husband, working from home on my own schedule, and bringing in some money at the same time. I have always loved cooking, but I never thought that I could make money sharing the recipes I learned in my youth. A couple of years ago, however, my sister-in-law started a very successful blog and encouraged my husband and I to start one as well. At that time, my husband was still in school and we were definitely struggling with finances a little bit. I had two little boys and I wanted to be with them as much as possible. At the same time, I wanted to help my husband as much as possible. My dilemma was figuring out how to make some money, and still spend as much time with my kids as possible. An online blog business was a perfect choice for us. In today’s society, it is definitely difficult to survive on one income. I made the decision a long time ago that I wanted to stay home with my kids. I understand, however, that that isn’t the right decision for everyone. 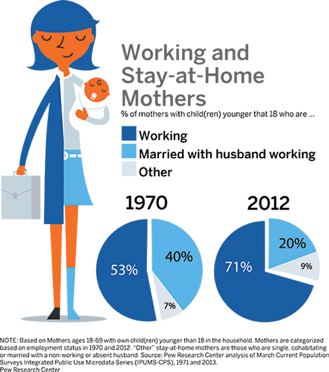 I respect moms that are able to work outside of the home and I hope that they never feel guilty about it. We should all support each other. I am grateful to be working with BBVA Compass, who sponsored this post, to share some tips with all of you on how I am able to work from home and feel good about it. I love the podcast that I just listened to which called “Mompreneurs” and which gives some great practical advice which is definitely relevant to the blog business which I have built. You can find it and other great podcasts on the Working Moms Mean Business section of the BBVA Compass website here. With that introduction, I hope you enjoy the following five tips for working from home and enjoying it. If I didn’t love cooking and taking pictures of food like the one below, I don’t think my blog would have lasted as long as it has or been as successful. When I decided to create a blog, I knew that the main focus would be on the delicious recipes that I learned how to make in Mexico. It then expanded to a few other topics, such as parenting and DIY, but the main focus is still on food. 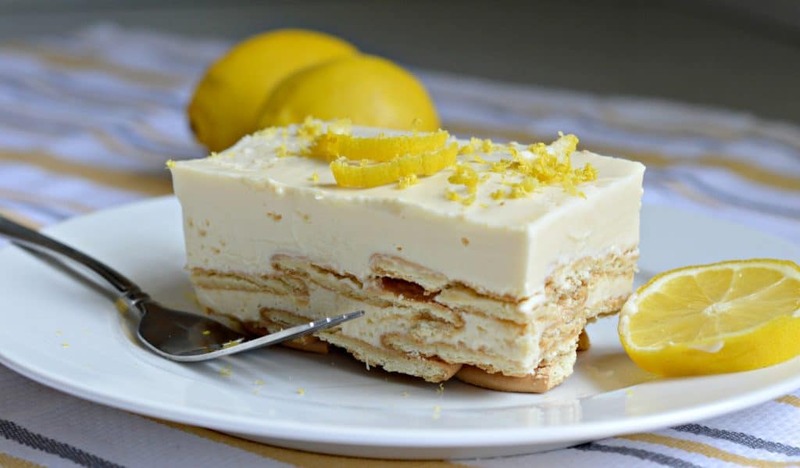 Lemon Carlota – Click The Image For The Recipe. My first bit of advice is to really figure out what interests you and get to work! If you are able to find a job for someone else that lets you work from home, and it is in an industry that you enjoy, I say go for it. If you want to work for yourself, it is even easier to find something that you like. Do your market research and give it a go. There are so many resources online for starting a blog or really any other business. One of the struggles of raising my kids and working from home is managing my time. I have started setting fixed hours during the day and evening when I can dedicate almost completely to my blog business. That way I am never scrambling to get my work done and my husband and kids know what I am doing as well. I am able to coordinate my time so that I am not taking away time from my kids and their activities, but I am also not compromising the success of my blog. I usually try to work about 2 hours per day, but sometimes it is more. It really depends on the nature of your work and your long term goals. I can’t understate the importance of this one. There are times when I will just sit at the kitchen table and work, but those time are usually the least effective. This last year we bought a pretty nice desk and put it in a place in the house where I am able to concentrate and edit picture, write blog posts, and promote them. It has really made a difference and combined with the second point above, has helped me to make a lot of progress. We are getting ready to move to a new home and I am excited to set up a more official home office that I can dedicate to my work. I am excited not only about the space, but also about the potential tax benefits. I am fortunate to have a husband who has supported me in this business from the beginning. He helps me with some of the blog posts, watches the kids when I am working on something, motivates me, and much more. It is so important to have a support system when working from home on your own business. It is even more important to be able to lean on them and accept their help. This can be a husband, kids, friends, or really anyone. Let them know how much you appreciate them and let them help you! Sometimes when I am working I feel guilty – I feel like I should be spending more time with my kids instead of working on a blog post. It was hard for me to get over this and sometimes I still feel it. What has really helped me though, is following the tips above and remembering that my family is the reason that I am doing this. I enjoy what I do, and that is important, but the real reason is because I want to contribute in some small way to my family’s success and happiness. There is a great e-book that I read recently called “Mom Guilt.” It goes over a lot of these topics and how you can stop feeling guilty for working. I suggest it to any of you working moms out there who could use some support. You can download it for free here. I hope that these tips are helpful to some of you. It hasn’t been easy being a “work from home mom”, but it has been worth it. I have been able to do it without affecting my children’s schedule and it has truly been a blessing for my family. If you are a working mom, what are some ways that you have been able to balance work and family life? I would love to hear about it in the comments section below.